The weather, the music, the food, and Santa and Mrs. Claus were perfect as a record crowd celebrated Christmas at the City of Heath’s Annual Holiday in the Park hosted in Towne Center Park on December 4. Highlights included performances by the Amy Parks and Dorothy Pullen Elementary School choirs, the Cain Middle School Orchestra and the Rockwall-Heath High School Jazz Band. Attendees also enjoyed dinner in the Winter Village, featuring food trucks, a cozy outdoor dining area warmed by holiday lights, a miniature train ride, and fun activity booths for the kids including a Christmas craft presented by Arstream Mobile Art Studio, and a holiday photo booth, sponsored by Dr. Scott Quinby/North Texas Orthopaedic Specialists. 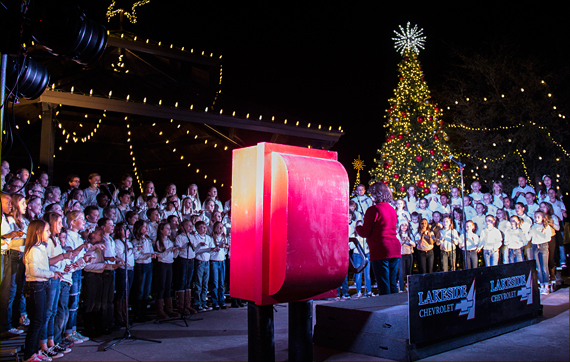 The brisk night made the complementary hot cocoa and Christmas cookies donated by the National Charity League and Rockwall Women’s League extra delicious. And the grand finale was Santa’s grand entrance on the fire truck. Juice It Up; Justin Holland, Regal Realtors; Karen Wydra, Ebby Halliday, Realtors; Oncor; Pabian Partners, Inc.; Progressive Waste Solutions; Rockwall Cycling/PlayTri; Smoothie King; Texas Health Presbyterian Hospital; and Urban Air Trampoline Park. – Santa and Mrs. Claus dropped in to visit with all the good little girls and boys of Heath. 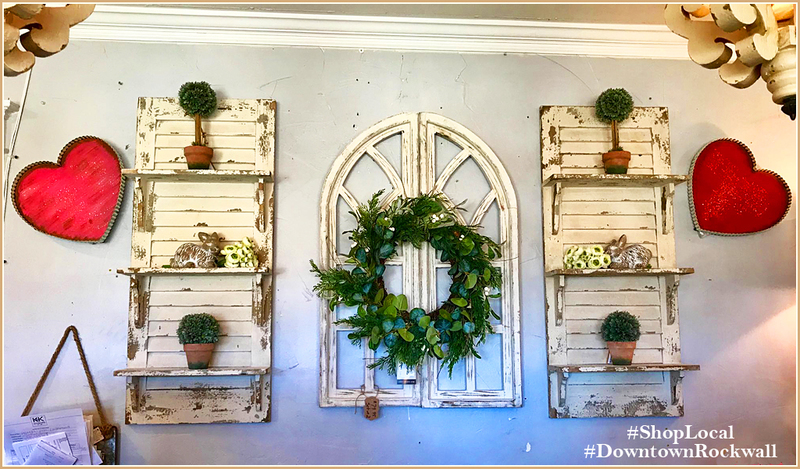 – Highlights included performances by the Amy Parks and Dorothy Pullen Elementary School choirs, the Cain Middle School Orchestra and the Rockwall-Heath High School Jazz Band. 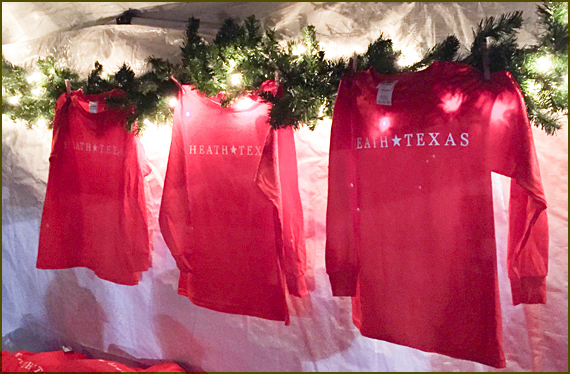 – New features for 2015 included the Heath Holiday Shoppe, offering a Christmas red Heath, TX t-shirt and first edition 2015 Heath Christmas ornament. A few remain and can be purchased at City Hall.